Natural Spaces. Wild Places. Landscape Art by Warren Peterson. 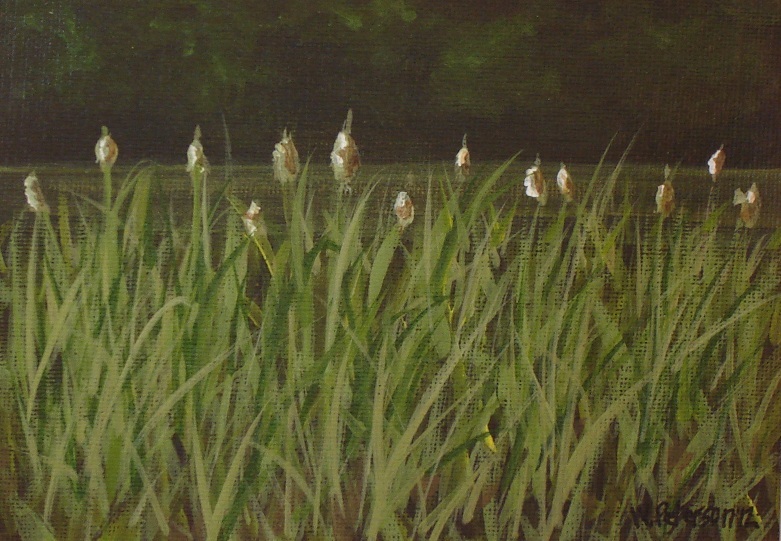 My journey through art to discover our natural spaces and wild places. 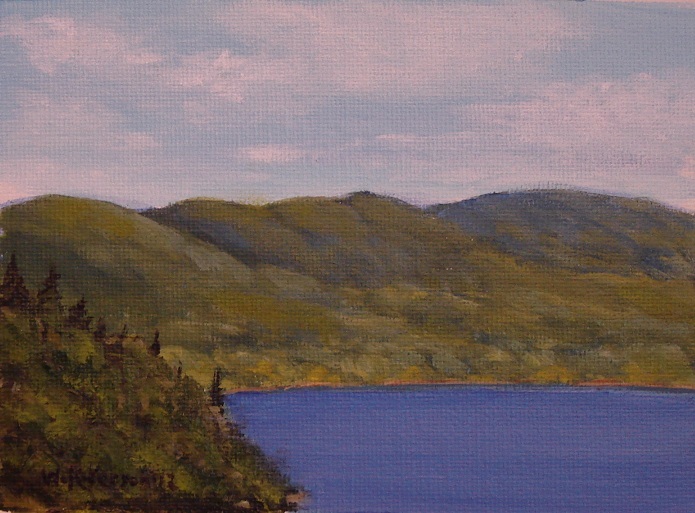 I strive to convey a sense of place, light, time and space through my plein air and studio work. Fall is the time of year where we, as artists, renew our faith in colour and just let it out - loud and bold! I use this time of year to reflect on why Fall is important to me as an artist - great scenes with strong light, high drama and cool, clean crisp air with that distinct smell of fallen leaves. Nothing better than walking down the path in the woods shuffling the leaves under your shoes! Here's a new Fall painting. 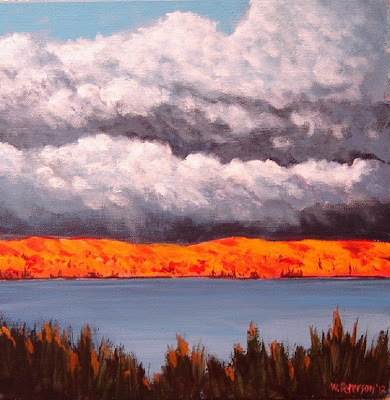 I was driving home from our cottage on Lake Superior when I saw this passing storm and the sunlit hills. It left an indelible mark on my memory, just like the smell of fallen leaves! 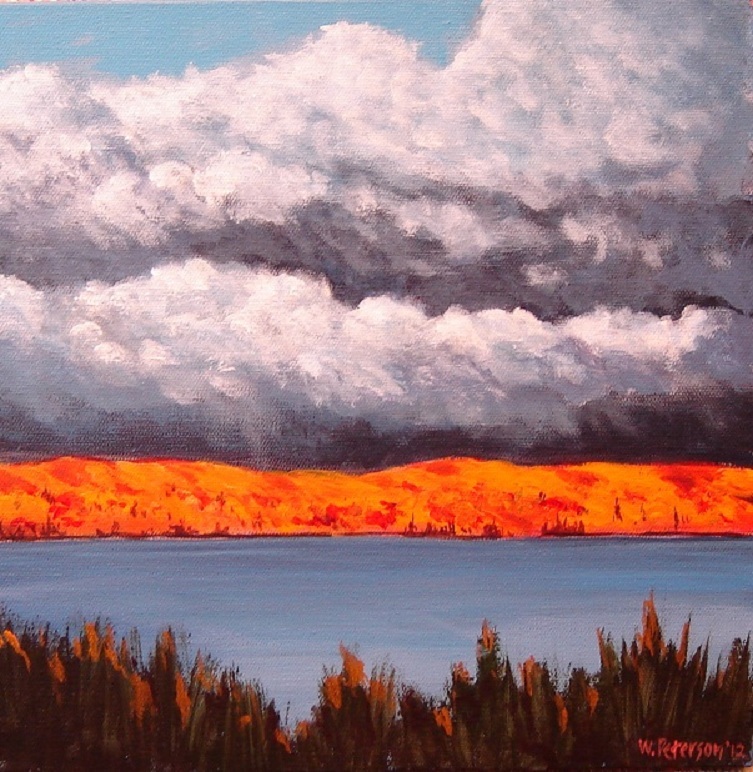 After the Storm by Warren Peterson 12" x 12"
Two Paintings Can Go A Long Way! Funny how things just come together sometimes! The collector who purchased the two paintings in my previous post just bought one more based on an email that I sent out! Here's the painting. 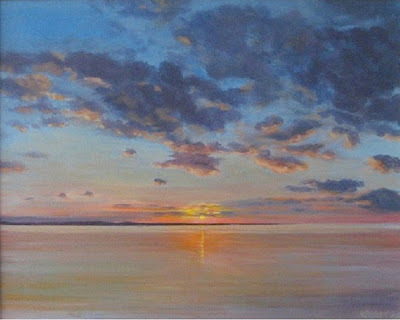 "It's a Good Day" by Warren Peterson - 16" x 20"
In addition a new collector contacted me to commission a sunrise painting based on the one above! That painting is in the works. 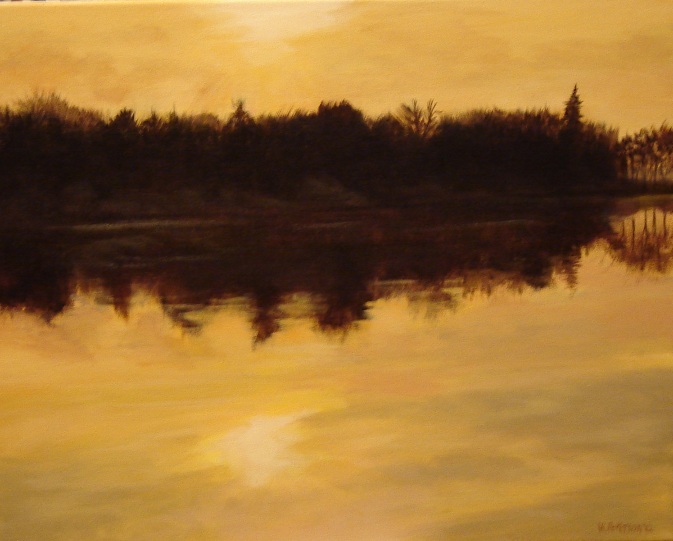 "One Spring Morning" by Warren Peterson - 16" x 20"
"One Spring Morning" is a departure for me in that I was more interested in the tonal effects vs. a panoramic landscape. 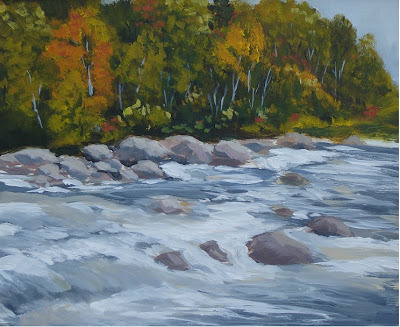 This painting has been submitted to the Northern Ontario Art Association jury show. 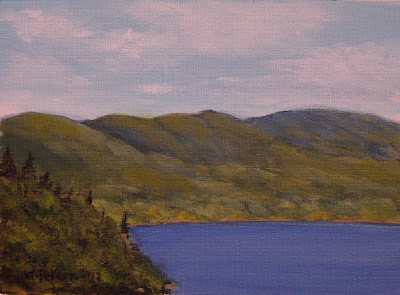 "Nature's Paintbrush" by Warren Peterson 5" x 7"
"Taking the Long View" by Warren Peterson - 5" x 7"
I think I will try this size plein air! My solo show generated a lot of publicity and two of my favourite paintings sold, both to new collectors! 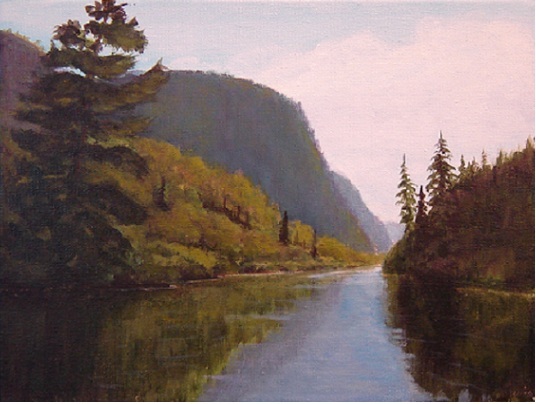 "Standing Guard - Agawa Canyon by Warren Peterson - 9" x 12"
"Sand River Rapids" by Warren Peterson - 10" x 12"
Next up - From Doodle to Painting! How to take an idea to a completed landscape painting. Please subscribe to get my new posts! 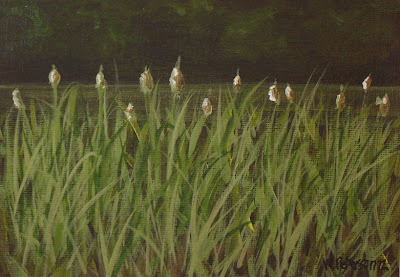 I am a landscape artist working in acrylics,, watercolor, graphite and charcoal. My work strives to capture a moment in time, place,light and space.